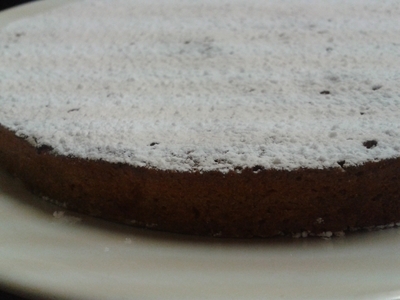 Sugar-free cake rarely matches up to the proper stuff, made of refined sugar and what not. 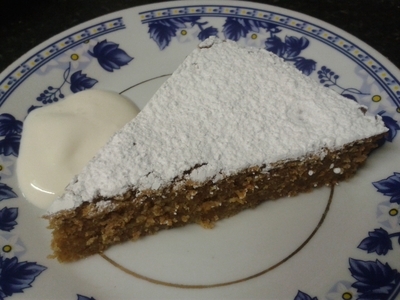 However, I've found a recipe which produces a cake so fine in crumb and texture, it's both delicious and simultaneosly sublime for both kids and adults. Instead of sugar, this recipe calls for maple syrup, but golden works just as well. The natural sugar from the ripe pears adds an irreplaceable flavourr as well as sweetness too, which would be lost if you used caster sugar. Although this is only a one-layer cake, it doesn't disappoint. 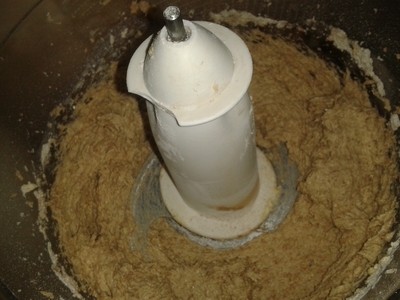 Serve at kids parties and you can delight in the fact it's a home-made bake, free from e-numbers, colours, and contains all natural ingredients. 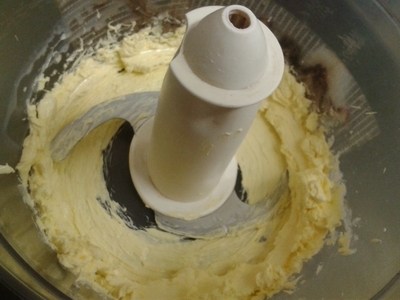 Cream the butter in a food processor until pale and fluffy. 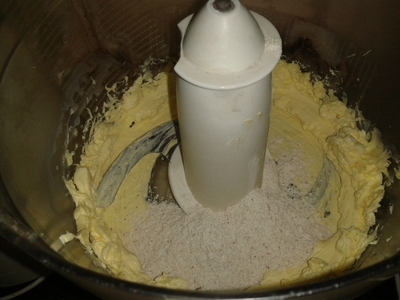 Add 3 tblsp of the flour and combine. 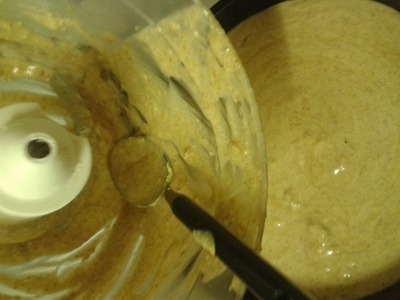 Add the rest of the flour, baking powder, cinnamon and combine. 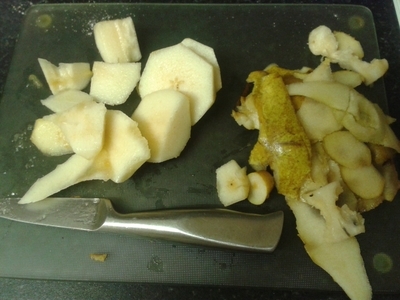 Peel and chop the pears - you don't need to be precious about the slices or chunks because they're going to be processed. 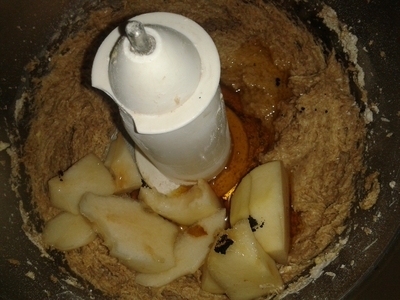 Add the syrup, vanilla and pear chunks. 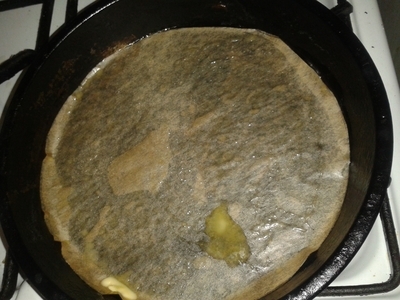 Grease and line a baking tin with greaseproof paper. 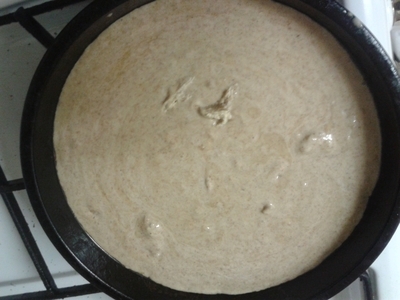 Place in the oven for 45 minutes at 160 degrees/gas mark 3. 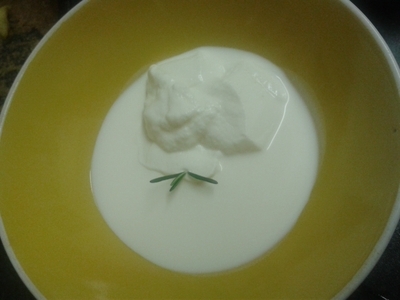 Add the cream, yogurt, and rosemary to a bowl. 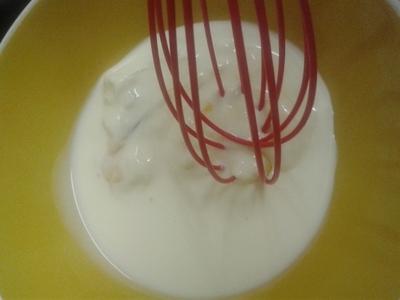 Add the syrup and whisk to form a thick cream. 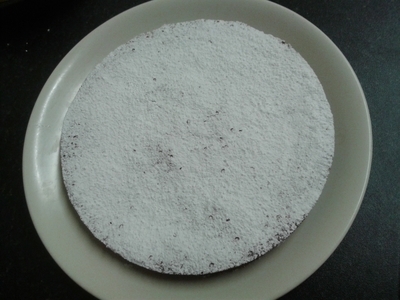 Sift the icing sugar over the cake. 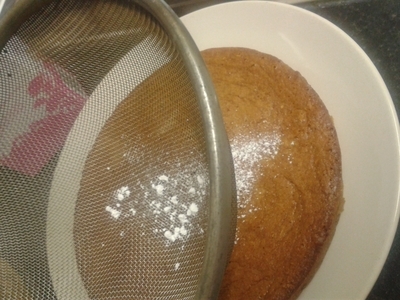 Cover the cake with either a fine or medium dusting of icing sugar. 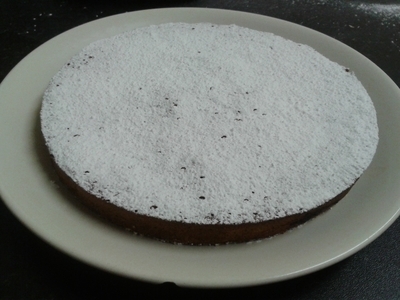 It is a light and delicate cake to be enjoyed by the whole family. 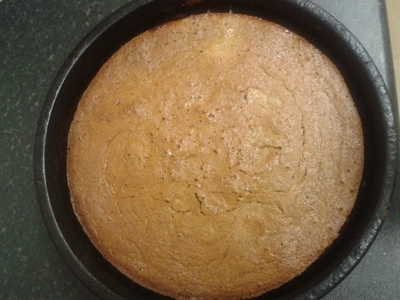 Although the cake looks quite refined, little ones love tucking into this. I served my niece a slice, with a side of the rosemary cream and she loved it.